Still working on the content and structure for this page, but here are some recent pics from the carnivorous plants. Mosquito eater that got a little too close to a sundew. A few of his legs got caught on one frond, then a wing on another. I'm pretty sure he's not getting away; he's been struggling for a while, but he's just pulling one of the leaves in tighter. Fire ants who wander through Venus fly traps don't stand much of a chance. With six legs they tend to trigger the traps sensors every time. Don't stick your head in there. 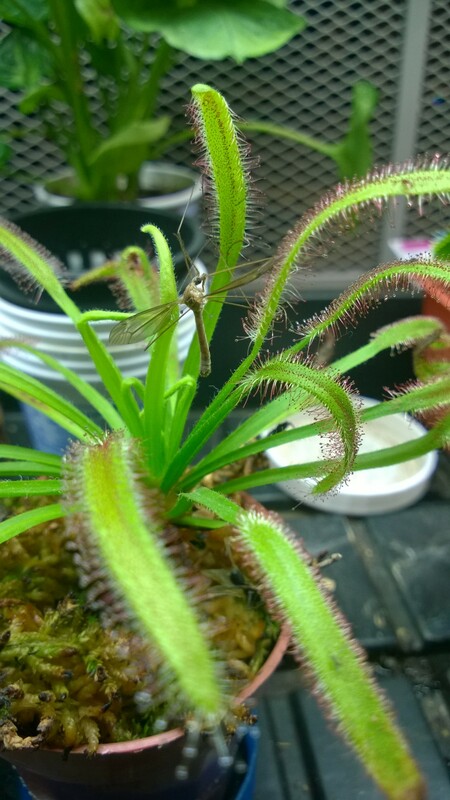 Apparently the mosquito eaters are very fond of carnivorous plants. This one decided to check out a VFT and probably regrets it now.